Donkey milk cosmetics the perfect Valentine’s Day gift have become a must for anyone who cares about their skin, hair, and body! Want you to know why Donkey milk cosmetics are the perfect Valentine’s Day Gifts? Then read further. Donkey milk as the main and key ingredient of Donkey milk Cosmetics the perfect Valentine’s Day gift has been used as a skin and beauty treatment for centuries. Donkey milk is a rich source of fiber, minerals, and vitamins, and contains lauric acid, a compound that helps to build the immune system. Donkey milk is predominantly medium chain fatty acids, so its absorbed easily by the skin. It gives our soap a lovely, light lather. Why Donkey Milk Cosmetics are the perfect Valentine’s Gift? While farming donkeys for milk aren’t that common in the U.S., it’s been increasing in Europe nowadays. The milk supposedly tastes great with chocolate. Donkey milk is similar to human milk: The ratio of casein to whey protein is nearly identical. And donkey milk is low in fat and rich in lactose. Although donkeys played an important role in European history and were key of everyday life up until the Industrial Revolution, the advent and widespread use of machinery very quickly relegated the donkey to relative oblivion. Donkey Milk has been recognized by the personal care industry as a beneficial ingredient in many cosmetic products. Skincare products such as soaps, creams, cosmetics and moisturizers made with donkey’s milk are well perceived in beauty markets. Donkey milk cosmetics are perfect for your skin. Donkey milk cosmetics the perfect Valentine’s Day Gift contain Donkey milk which hydrates and softens skin. Donkey’s milk has a pH level very close to the pH level of human’s skin, it helps to moisturize and keep the skin’s oils in balance. Donkey milk cosmetics the perfect Valentine’s Day Gift contain Donkey milk which regenerates skin. Donkey milk cosmetics are the perfect Valentine’s Day gifts because are regenerative for the skin because of high levels of protein, phospholipides, and ceramides, which in turn confer it with both soothing and restructuring properties. Donkey milk is soft and soothing and famous for its strong regenerative power. Donkey milk cosmetics contain Donkey milk which provides natural anti-aging skin care. The rich composition of donkey milk with high protein levels of phospholipids and vitamins A, B, C, D, and E – make it excellent for anti-aging, wrinkle treatment, restructuring and regenerating facial with excellent results. Donkey milk cosmetics the perfect Valentine’s Day gift are perfect for your body. Donkey milk cosmetics contain Donkey milk which is a nice body moisturizer. Donkey milk cosmetics the perfect Valentine’s Day gift, are perfect for your hair. Donkey milk cosmetics contain Donkey milk which helps hair hygiene by nourishing hard, dull and tarnished hair from roots to tips with the milk and the natural herbal extracts found in its content. It gives silky softness and shine to hair. Donkey milk helps skin and hair cleansing from chemicals and moisturizing by nourishing it from roots to tips by applying intensive care to hair and scalp thanks to natural vitamins, minerals and herbal extracts in its content. Aand helps to provide a botox effect by ensuring hair to reach its natural structure. The Greek-Egyptian Queen Cleopatra reportedly used only donkey milk for her skin and hair in her famous donkey milk baths. Get inspired by Cleopatra, who took baths filled with donkey’s milk. Also, the women of Roman bourgeoisie preferred donkey milk to nourish and beautify their skin and hair. Donkey milk Cosmetics the perfect Valentine’s Day Gift contains Donkey milk which has great beauty properties. Donkey milk is Powerful anti-aging and healing ingredient. Donkey milk has powerful anti-aging and healing properties as it contains essential fatty acids. These fatty acids lessen the appearance of fine lines and wrinkles and help to regenerate damaged skin. It is also effective in healing and soothing minor skin abrasions. Donkey milk is antioxidant and nutrient-rich! Donkeys milk is packed full of powerful antioxidants and nutrients. These include essential vitamins such as vitamin A, B1, B2, B6, D, C, also, calcium, magnesium, phosphorus, and zinc. Donkey’s milk is gentle to use on sensitive skin for both babies and adults4. Donkey milk is moisturizer and softener. Donkey milk is a powerful moisturizer, cleanser, and softener for skin. With consistent use, it cleanses, softens and smooth, making it a very versatile beauty product. Donkey milk is a natural tensor and a powerful skin regenerator. Its exceptional composition gives it, moisturizing, firming and softening properties. Donkey milk cosmetics consist of 100% natural ingredients. Donkey milk cosmetics consist of natural oils such as olive oil, palm oil, sunflower oil, coconut oil, castor oil, Shea butter, which are all 100% natural products! Donkey milk cosmetics consist of natural essential oils. Donkey milk cosmetics contain natural essential oils such as Lavender or Lilac or Munt or Gardenia essential oil. Looking for the perfect Valentine’s Gift? Everyone Uses Donkey milk cosmetics!… Don’t you? 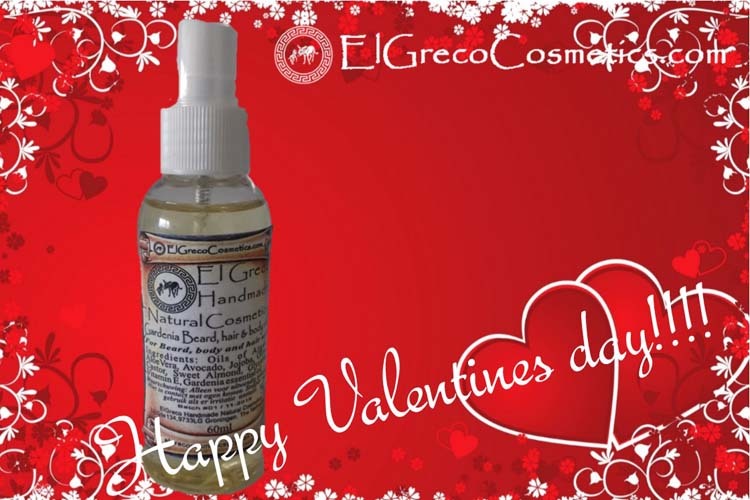 El Greco handmade Donkey milk Cosmetics the perfect Valentine’s Day gift? It is our desire that you are informed what you’re getting when considering El Greco handmade Natural Liquid donkey milk soap with donkey milk. Our products are made with natural organic ingredients so you don’t have to wonder about the integrity of the face cream your body is absorbing. Handmade natural Liquid donkey milk soap from El Greco Cosmetics range are made with rare and valuable natural raw materials such as organic Donkey Milk. Organic Donkey Milk as key ingredient acts in synergy with the amazing properties of vegetable oils in order to leave the skin smooth nourished and moisturized the most sensitive skins. Handmade Liquid donkey milk soap from El Greco Cosmetics is slightly scented with essential oils which bring their own natural properties or they have a more fragrant aroma. El Greco Cosmetics Donkey milk Cosmetics the perfect Valentine’s Day gift will take care of your skin leaving it supple and radiant. Our cosmetics are dedicated to every skin type, especially dry and sensitive skins. They will give a silky finish and a velvet touch to your skin wrapping you with a fresh and delicate fragrance. We believe transparency is the only way for our customers to know they can put their confidence in El Greco handmade natural Liquid soap. Genuine organic products are clearly labeled so you can make an informed choice about the product you are buying. Our handmade natural creams with donkey milk yield a rich, creamy, moisturizing effect that is high in vitamins, antioxidants and bioavailable nutrients that nourish your skin from the outside in. El Greco Liquid donkey milk soap is not just a moisturizer, soothing dry and damaged skin, but possesses an anti-inflammatory effect. 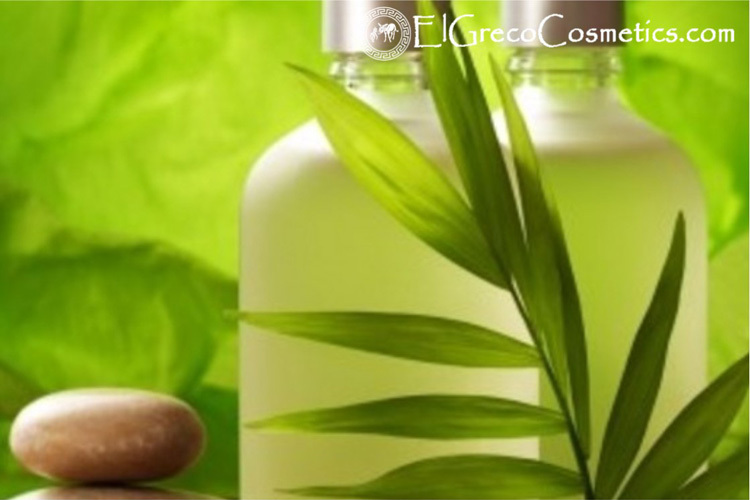 Use El Greco Cosmetics Liquid donkey milk soap on your face and Donkey milk face and body lotion. Work into lather for effective cleansing and for an aroma-therapeutic benefit. Each bar of our Natural Liquid donkey milk soap begins with Donkey milk as key ingredient, a high percentage of nutrient-rich organic extra virgin olive oil, for its well-known superior skin care properties, to which we add organic coconut oil for fluffy lather, sustainable organic palm oil to increase longevity, and organic castor oil for a dense creamy lather that conditions and moisturizes. Find out more about Donkey milk cosmetics the perfect Valentine’s Day Gift.